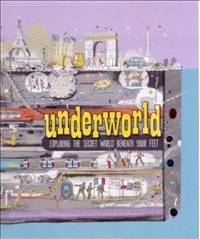 From the publisher:Just what, exactly, lies underground? Let this book take you on a journey into the world beneath earth's surface. The subtitle of this book is very important, without it there could be many disappointed readers who were expecting a book about crime. So if you’re not wanting a book about the criminal underworld, stick with me because this book might be for you! This is book looks at everything that is going on beneath our feet. It starts with the science, looking into the centre of the earth, volcanoes and fossils, then it looks at animals that live underground and then it goes into mining and also what goes on underground in some of the big cities around the world. This book shows us caves are formed, how the earth is formed, and shows us the things we might find in caves. There's a double page on the amazing Cappadocia in Turkey, which has 200 underground cities, the largest being 11 storeys (down) and over 300,000 lived there. We see the kinds of animals that live underground, from the cute Meerkat and wombat to the extremely bizarre olm and the naked mole rat. It even gets up close and personal with the world of bats! It looks at how and why civilizations have buried their dead, there's the tombs of the Pharaohs and the amazing story of the Chinese emperor Qin who was buried with an entire army made out of terracotta. I found out that more than 110 billion bodies have been buried in the Earth's soil. 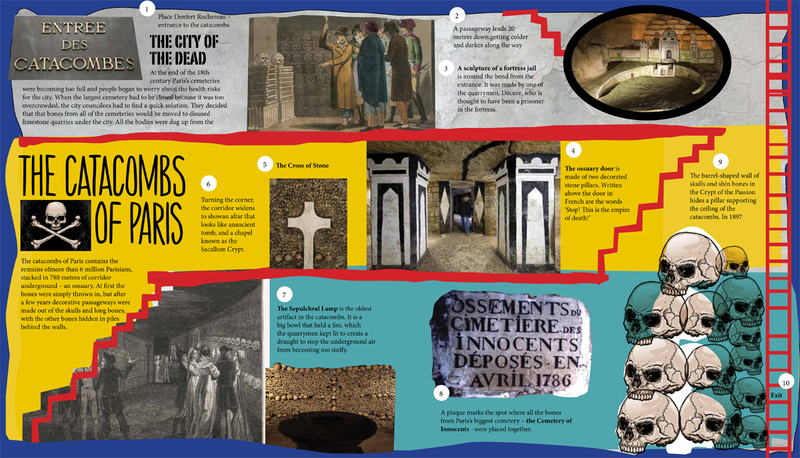 There's also information on buried treasure, and deadly dungeons! The book also shows more modern ways that we use the space underground, such as mining. Did you know that the Bingham Canyon copper mine is the biggest open pit mine in the world, it's 4km wide and 1.2 km deep! 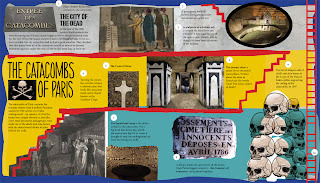 The book looks at the Metro in Paris, as well as the catacombs, it also looks at the Tokyo underground, where some subway stations are 48m underground and contain food and bedding so that they can be used as disaster shelters. There's even a subterranean farm that has been planted in an unused bank vault under the city centre in Tokyo. There is so much more to explore in this book, so I will stop raving about it, leaving you to find out more for yourselves. The other thing that I really like, and I know it’s hugely popular with children is the cross sections. It works especially well when looking at what’s happening underground. Read it if you like: to know what's going on under your feet!